In the realm of diabetes monitoring, continuous glucose monitoring (CGM) allows for a more accurate reading of how blood glucose levels fluctuate throughout the day by measuring interstitial glucose levels on a continuous basis and estimating blood glucose levels based on these readings. The CGM segment is currently exhibiting the highest growth of any of the diabetes monitoring, treatment, and drug delivery segments. The compound annual growth rate, which is above 13% over is nearly double that of the second-leading segment in the overall market. Below is a ranking of the competitors that are currently in the CGM market. DexCom was the leading market player in the U.S. continuous glucose monitoring market. DexCom’s product offerings include the G5® Mobile standalone CGM system, which gives patients the option of using their smartphone and smartwatch devices to display CGM data instead of the traditional receiver used with previous products. Additionally, the company has created cloud-based applications for smartphone and tablet devices that allow patients to share their CGM data with others, a feature that is particularly useful for family members and healthcare professionals. 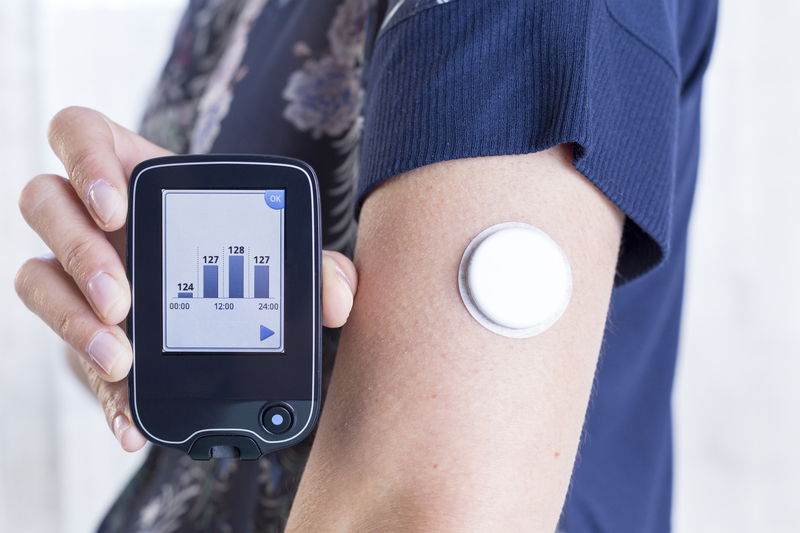 Medtronic was the second-leading market player in the U.S. continuous glucose monitoring market. The company currently offers CGM-integrated insulin pump systems through its MiniMed® 530G and MiniMed® 630G products, which offer the capacity of being supplemented with Enlite® CGM sensors. Additionally, the latter product includes a feature called SmartGuard®, a low glucose suspend algorithm that uses CGM data to interpolate when glucose levels have passed a preset low limit and automatically stop insulin delivery to prevent hypoglycemia. Medtronic also offers the iPro®2, a professional CGM system which is used in retrospective clinical studies. Abbot has been an emerging competitor in this market segment. In previous years, they competed in the personal CGM segment with the FreeStyle Navigator™ II; however, due to a supply interruption in 2010, they permanently discontinued this system in 2011. Nevertheless, the FDA approved Abbott’s FreeStyle Libre Pro™ professional CGM system in 2016, . Continuous glucose monitoring is an exciting market segment with an increasing popularity due to its higher level of data accuracy and validity. These devices are meeting an increasing demand for patients seeking to monitor their glucose readings, since with the conventional fingerstick method glucose readings are for a single point in time. By connecting these points with additional data gathered from CGM devices, patients not only have better knowledge regarding their glucose levels, but also in which direction they are going. More on the diabetes device market in the US can be found in a series of reports published by iData Research entitled the US Market Report Suite for Diabetes Devices.